The Mercury Comet was an up market version of Ford's popular Falcon compact sedan and rode on a slightly longer wheelbase and had a nicer interior. 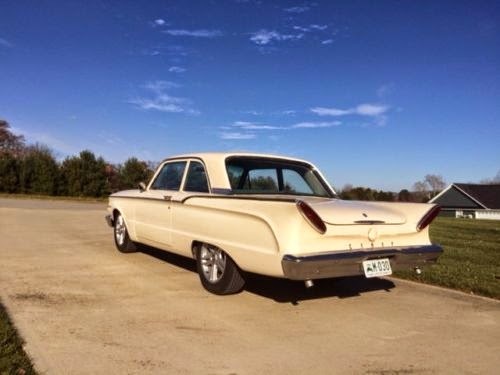 The Comet was initially launched to be part of Ford's Edsel lineup, but with the failure of the Edsel marque, the Comet was sent to the Mercury dealer with only Comet badging. 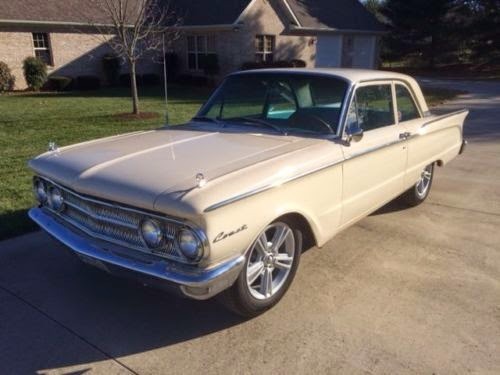 Find this 1960 Mercury Comet restomod offered here on eBay currently bidding for $7,399 with a few hours to go, located in Bronston, KY. The Comet was powered by a number of inline-6 and V8 engines from the factory, but this one was been given a major reworking by a previous owner. The engine, suspension, and rear end is very customized, but it does need some minor sorting to get back on the road. 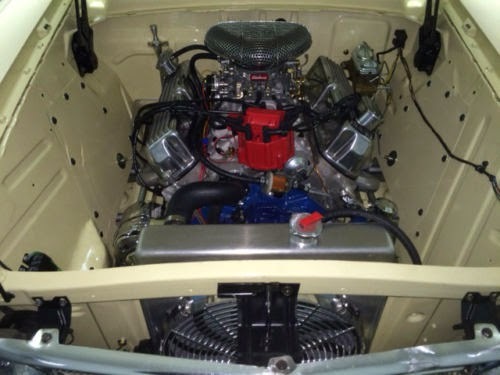 The 351 Windsor V8 would have a tough time fitting in the stock Comet engine bay, but this Comet has had its shock towers removed and it now rides on a Mustang II style front rack-and-pinion suspension setup. The V8 is bored/stroked to 383 cubic inches and probably puts out something in the 400 horsepower range on pump gas. 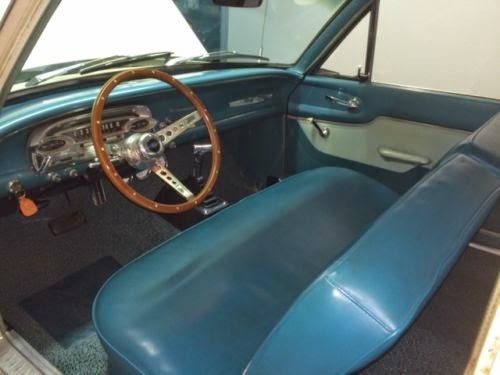 The stock bench seat doesn't look like something that would have a multi-link triangulated rear end and a rack-and-pinion front end setup. The biggest problem with the car as it sits is the automatic transmission slips when in gear, but the easy way to fix it would be to swap in a 5 or 6 speed manual and give this Comet a clutch pedal. Wow.. talk about other peoples money. If I was the buyer I think I would start with a fuel injection system and a six speed manual or maybe even a eight speed auto(anyone know if they make a stand alone controller for the one Chrysler is using) then id drive the hell out of this thing. And maybe mini tubs and some wider tires to hook up some o' dat horsepower. I like the wheel design but the larger than stock diameter makes it a bit DONK like. Other than that, lots of good stuff here. I like the large diameter but sort of hidden exhaust tips "keep moving along Officer, nothing to see here".